DC or AC Volts, Frequency, Amps. Forty segment bar graph with dynamic backlight color. Unique customization of the range, scale, and annunciators. 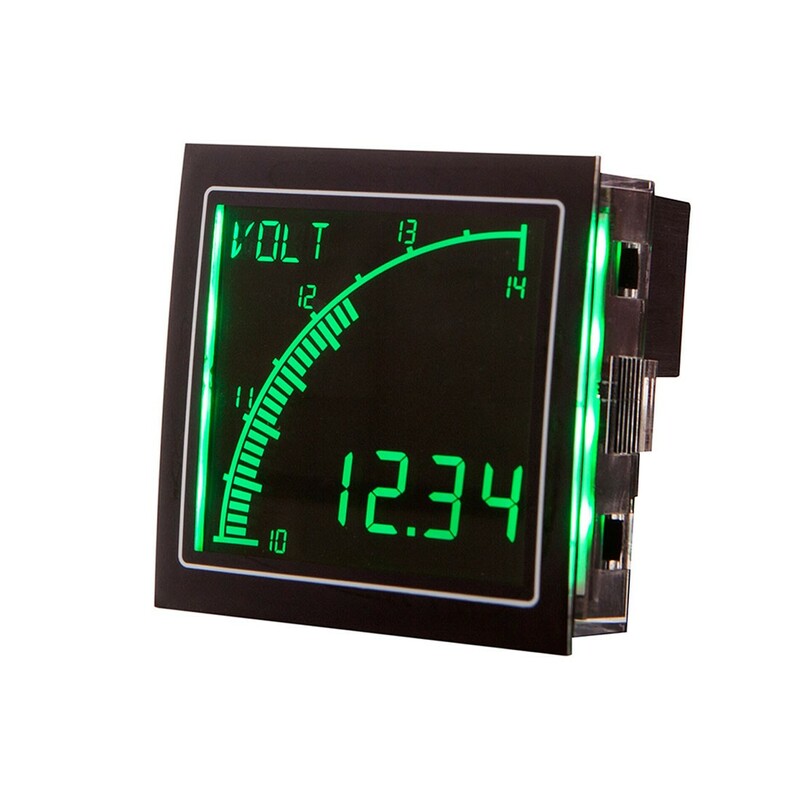 User customization of: display range (min/max values), backlight color, two alarm setpoints, and analog outputs.